I think we should execute our neutrality law within our own limits; but I hold that the difficulty which has so often occurred, and which has so often permitted expeditions of this kind to leave the United States, is inherent in the nature of the case. Our neighbors are too weak to require that a regular armament should be fitted out, that an army should be organized for their invasion. It is not according to the theory of our government that we should establish a system of espionage in order that we may stop any six, twenty, one hundred, or two hundred men who may choose to leave the United States, cast off their obligations to our Government, and enter into revolutionary movements elsewhere. If they claim to be emigrants, what right have we to inquire into their future motives? Davis said that bit about a system of espionage to stop people from leaving of their own free will whilst supporting a de facto system to do just that, so long as someone owned the emigrants in question. But slaves did not count and the spectacle of armed black men would probably have provoked a white mob in most any state of the Union at the time. They are not, in the sense in which the term was used in 1818, a military expedition, but a mere handful of adventurers upon a transport-boat going down to a landing on the coast of Central America. Such an expedition as need be fitted out to go into the harbor of Liverpool, and there make an assault, could not leave our coast without every man in the country knowing it. Such an expedition it would be perfectly within the power of the United States to suppress. But, sir, when my attention was directed to this subject some years ago, at the time of the invasion of Lower California, when we received intelligence of a handful of men, (I believe it was but a dozen,) with side-arms, going and capturing the Governor and proclaiming themselves conquerors of a State, I felt out utterly idle it was for this government, with our right of expatriation, with the right of each and every citizen to go where he pleases, and to bear arms, to attempt to suppress such expeditions as might be of use against the southern and Central American states. Walker’s expedition did not fall under the terms of the act. He and his men just happened to emigrate with guns on hand and what they did beyond the shores of the United States didn’t matter. Even if it did, the United States had no power there. True enough, so far as it goes. The United States would not get very far trying to enforce its laws on British territory. The entire international order from the end of the Thirty Years’ War onward rested on national sovereignty, which would prevent that kind of action had the Nicaraguans chosen to exercise it. Instead, they chose to exercise their sovereignty by inviting American protection. Setting that aside, Davis apparently thought it would take thousands of men, at least, to trigger the Neutrality Act, despite that act not putting any minimum size on the expeditions it covered. Who knew? Most military formations in the Civil War era United States amounted to a company or smaller. On paper that meant around a hundred men. Davis effectively claimed that expeditions with more men than most frontier military posts do not amount to a military force. One wonders, then, just who defended the frontier. Private citizens who accidentally dressed similarly? Despite acting within the confines of precedent and with the consent of Nicaragua in his arrest of William Walker, Paulding received plenty of criticism. 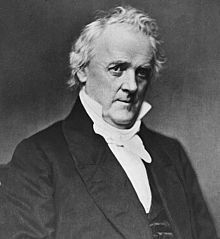 Even some who rose to defend Paulding’s arrest, like James Buchanan and Stephen Douglas opposed Walker on the grounds that his wildcat expansionism tainted their methods by association and so made it harder to steal countries in the future. But other expansionists did not have such scruples. 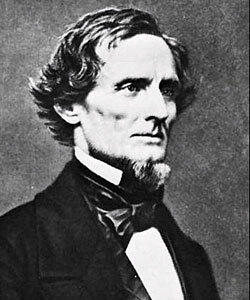 On January 7, 1858, Jefferson Davis rose in the Senate to make the first substantive speech in response to Buchanan’s documents and message. I must dissent from the conclusion of the President, that the grant of the right to use the Army and Navy enlarged his jurisdiction and conferred upon the Executive powers which he did not possess under the law. He assumes that the neutrality law,which required that these expeditions should be suppressed, when it had added thereto the power that he might use the Army and Navy in the execution of the law, conferred on him the authority to go beyond the jurisdiction of the United States. From that I wholly dissent. This seems to furnish us a key to the policy which sent the navy out to the coast of Central America, there to prevent illegal expeditions sailing from the United States, instead of posting them where they should have been for that purpose, at the mouth of the Mississippi, the mouth of the Alabama, and the harbor of New York. Three cities, it was known by public announcement all over the country, and three alone, contained the elements of such an expedition -New Orleans, Mobile, and New York. If it was necessary to enable the civil authorities to execute the neutrality laws of the United States, the fleet should have been stationed there, and not upon the coast of Central America. The suspicion that there was a purpose thus illegally to make war upon a country with which we were at peace, would have justified their detention within the waters of the United States, in order that the case might be inquired into, but could not justify their arrest beyond the jurisdiction of the United States. In the nineteenth century, the jurisdiction of a nation ended one marine league beyond its shore. In the idiom of the time, that also marked the range of a cannon shot. Davis maintained, in effect, that once a ship entered international waters national law simply did not apply to it. However, Walker’s ships flew the flag of the United States and the deck of a ship at sea generally counts as the territory of its flag and registry. Southerners got very particular about just that fact when the Royal Navy proposed to board and search their ships in the cause of stopping the trans-Atlantic slave trade. Those ships flying American flags amounted to American soil on the water and so the United Kingdom had no right to stop and invade them. Apparently the United States likewise lacked jurisdiction over American soil. 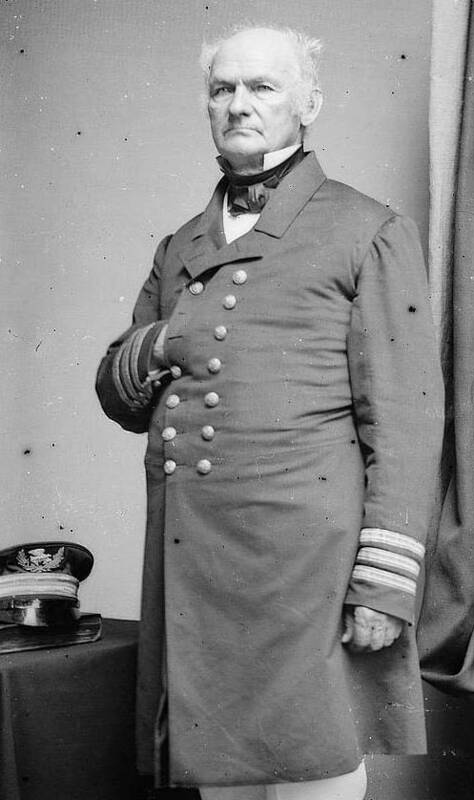 The Nicaraguans offered their thanks to Commodore Paulding for landing on their territory and seizing William Walker’s filibustering expedition. They had asked for the Navy’s help in stopping Walker, after all. Buchanan’s message of January 7, 1858 made just that point even as it also carefully equivocated about how Paulding exceeded his instructions in landing on Nicaraguan soil. While the Commodore’s orders certainly told him to stop Walker, they authorized no landing on, or invasion of, foreign territory. Nor, however, did they forbid one. there are exigencies which no human being can foresee, for which no specific instructions can be given in advance, which throw a military or naval commander an absolute necessity for instant action -where, to retreat from his position, would be dishonor; and to wait for instructions from a Department a thousand miles away would be a crime against all the laws of God and man. When charged with the execution, therefore, of a special undertaking, it is always implied in the instructions given, when they do not expressly forbid it, that he may do all in his power which the honor of his country, the laws of nature, and the laws of nations will allow, to effect the purpose of that special undertaking. It was this principle which authorized and justified Commodore Dale to commence hostilities against the Tripolitanians in 1801, when it was believed that war was intended by them. Neither Commodore Dale nor Captain Sterret, the officer who made the first capture, was censured; but, on the contrary, both were highly applauded, and the latter received the thanks of Congress and a sword, although at the time war had not been declared against Tripoli. It was the same principle which authorized and justified Commodore Rodgers in blockading the port of Tunis, and forcing the Bey to terms; and afterwards drawing his ships up before the batters of Tangier, and threatening hostilities to the Emperor of Morocco, in the year 1805. It also authorized and justified Commodore Decatur in threatening hostilities to the Bey of Tunis and the Bashaw of Tripoli, in the year 1815, and forcing them to restore large amounts of money taken from our citizens. Neither of these officers was censured for his conduct, which he believed to be in accordance with the wishes of the nation, although the United States had not declared war against those Powers. Sir, it was by virtue of this principle that Captain Ingraham, in the harbor of Smyrna, performed the gallant deed for which he received the thanks of Congress. That begins by referring to the two Barbary Wars, which the United States fought rather than pay tribute to the Barbary pirates of North Africa who preyed upon American and other shipping. The situations do parallel Paulding’s somewhat. In both cases, the Navy operated beyond the reach of swift communication, with the commanders operating under their understanding of the national will in the absence of contrary orders. Captain Ingraham presents a slightly different case. Duncan Ingraham intervened to protect a failed Hungarian revolutionary from the Austrian consul in Smyrna (modern Izmir, Turkey). The Austrians wanted him back, but the revolutionary, Martin Koszta, reached New York and swore out an oath that he intended to take up American citizenship. He found himself in Turkey about a year later on business and touched base with the local American consul, who agreed that he deserved American protection. The Austrians took Koszta anyway and carted him off to one of their ships in the bay. On hearing that the Austrians planned to make off with Koszta entirely, Ingraham trained his guns on their ship and gave them a four hour ultimatum: give up Koszta or he would open fire. Ingraham had only the go-ahead of the American consul for all of this and risked a war not with rogue pirate states but with one of the great European empires. If Congress could thank him for that, as it had just a few years earlier, then how could it condemn Paulding? The undersigned, in the name of the three Governments which he represents, returns thanks to the Government of the United States for having taken away the adventurer William walker, and his invading hand, from the point of which they had taken possession on the coast of Nicaragua; thus freeing those friendly countries from the evils with which they would have been visited, had these disturbers of the peace of nations been allowed the possibility of increasing their forces by new recruits. Those who, in the service which the Government of the United States has rendered to its friend, the Republic of Nicaragua, would seek fo a warrant to say that the Nicaraguan territory has been violated will hardly find it, from the moment that the world will have learned that the Government of Nicaragua, far from complaining of a violation of her territory, looks upon that act as an assistance, directed in her behalf of its inviolability, which was wounded, in effect, by certain adventurers from the United States; and that it considers such assistance, extended by this Government, as a consequence of the measures which, by his note of the 14th of September last, the undersigned had asked this Government to adopt, giving orders to the Navy o the United States to capture the violators of the laws of neutrality. The point from which Commodore Paulding forced away those bandits, the violators of the laws of all nations, and, as such, justly assimilated, by the law of nations, to pirates and foes of mankind, is an almost desert one, on which there exist no Nicaraguan authorities that could have managed the apprehension of those felons. Nicaragua, therefore, considers that the proceedings of Commodore Paulding against Walker and his horde were entirely justifiable; for, as a man-of-war of any nation may take up pirates from a desert island, or one so thinly peopled that they can assert their dominion over it, although that island might belong to another sovereign nation, just so can bandits be apprehended, as enemies of the human race, by armed vessels of a friendly nation, on a point of a foreign coast, which may be placed under circumstances like to those of the island mentioned by way of illustration. The filibusters, as the name indicates, amounted to pirates and what passed for international law in the 1800s certainly authorized action like Paulding’s against them. But the particular circumstances justified Paulding’s seizure. Nicaragua invited the US to stop Walker, not to stop by whenever it liked. The letter also references a separate difficulty: Nicaragua claimed, but did not actually control, much of its east coast. The British claimed protectorate over it due in part to the number of recently freed slaves from the British West Indies who settled there. The Americans and Nicaraguans did not recognize the Mosquito Coast protectorate, but nor did the Nicaraguans rush to put their military where it might clash with the British. American intervention against a foe of the British faction in Nicaragua’s internal struggles amounted to the perfect solution. Paulding did not threaten the United Kingdom’s protectorate, removed a foe to British interests, and defended Nicaraguan sovereignty against that same foe. Everybody won, except William Walker and his supporters. Having set out why he thought the Neutrality Act so important, aside from his duty to execute the laws, Buchanan’s January 7, 1858 message to Congress continued to lay out the pertinent legal details. Neutrality laws went all the way back to the 1790s and the chief provisions of the original, Washington-era, law remained in the then-current version. What constituted a violation of the Neutrality Act? The military expedition rendered criminal by the act must have its origin, must “begin,” or be “set on foot,” in the United States; but the great object of the law was to save foreign States with whom we were at peace from the ravages of these lawless expeditions proceeding from our shores. […] In order to render the law effectual, it was necessary to prevent “the carrying on” of such expeditions to their consummation after they had succeeded in leaving our shores. That certainly sounds like Walker’s expeditions. It also sounds like Narciso López’s and John Quitman’s expeditions against Cuba. All set out with the avowed purpose of overthrowing a country at peace with the United States. All began in the United States. All had logistical and financial support from within the United States. Walker, like López and Quitman, clearly broke the law. Why then did Walker’s arrest provoke such controversy? Expansionists might not have loved how Zachary Taylor intercepted López and his expedition. They admired that effort at least as much as Walker’s and wanting to steal Cuba amounted to a tradition in the movement. Nicaragua, while certainly desirable, had not occupied their imaginations nearly as often. Whence came the outrage? Aside the increasing radicalism of the late 1850s and the usual partisan rhetoric, they had reason to think Paulding acted improperly. I understand the President of the United States to assume, as an undisputed fact, that this expedition, of which Walker was the chief, was set on foot within the jurisdiction of the United States to make war against Nicaragua, a Republic at peace with us; that it was well known to the Government of the United States that this expedition was about to be carried on against Nicaragua; that the leader of this expedition was arrested by officers of the United States, but was discharged upon giving bail in the insufficient sum of $2,000; that soon after his discharge, Walker, with his command, embarked on board the steamer Fashion, a vessel of the United States, and sailing under the flag of the United States, and entered San Juan; and under the very guns of the Saratoga, a vessel of war of the United States, lying in the waters of San Juan, he was permitted to land upon the soil of Nicaragua; that immediately after landing, he commenced, and was actually engaged in carrying on, a lawless warfare against the people and the Government of Nicaragua; and that while he was so engaged upon the shores of Nicaragua, Commodore Paulding arrived in the harbor of San Juan, in command of the flag-ship Wabash; that after he arrived there, he immediately ordered General Walker and his command to embark on board such vessels as he should designate, and compelled them to embark and return to the United States. Walker sailed from the US with an illegal filibustering expedition. He reached Nicaragua, passing a US warship to do so, and and landed there. Paulding sent some boats and Marines to block the advance of Walker’s little army up the river it planned to use, then maneuvered his ships to block retreat, and trained cannons on Walker’s camp. Walker got the hint and surrendered himself. This presents a real problem of international law. By what authority did Paudling arrest Walker on Nicaraguan soil? True, the filibuster broke American laws. But he no longer stood on American soil or in an American jurisdiction. Technically speaking, Paulding invaded Nicaragua, occupied its coast, blockaded its territorial waters, and as he had no legal authority within the nation kidnapped people from its shores at gunpoint. Whether or not Paulding exceeded his instructions, he clearly violated international law. In the service of their political aims, the expansionists suddenly found themselves defending Nicaragua’s aggrieved sovereignty against a rogue military man. The crime well deserves the severe punishment inflicted upon it by our laws. It violates the principles of Christianity, morality, and humanity, held sacred by all civilized nations, and by none more than by the people of the United States. Disguise it as we may, such a military expedition is an invitation to reckless and lawless men to enlist under the banner of any adventurer to rob, plunder, and murder the unoffending citizens of neighboring States who have never done them harm. It is a usurpation of the war-making power, which belongs alone to Congress; and the Government itself, at least in the estimation of the world, becomes an accomplice in the commission of this crime, unless it adopts all the means necessary to prevent and punish it. It would be far better, and more in accordance with the bold and manly character of our countrymen, for the Government itself to get up such expeditions than to allow them to proceed under the command of irresponsible adventurers. We could then, at least, exercise some control over our own agents, and prevent them from burning down cities and committing other acts of enormity of which we have read. Walker ordered his capital torched before he quit Nicaragua. By tolerating such expeditions, we shall soon lose the high character which we have enjoyed ever since the days of Washington, for the faithful performance of our international obligations and duties, and inspire distrust against us among the members of the great family of civilized nations. It is beyond question the destiny of our race to spread themselves over the continent of North America, and this at no distant day, should events be permitted to take their natural course. The tide of emigration will flow to the South, and nothing can eventually arrest its progress. If permitted to go there, peacefully, Central America will soon contain an American population, which will confer the blessings and benefits as well upon the natives as their respective Governments. Liberty, under the restraint of law, will preserve domestic peace; whilst the different transit routes across the isthmus, in which we are so deeply interested, will have assured protection. Nothing has retarded this happy condition of affairs so much as the unlawful expeditions which have been fitted out in the United States to make war upon the Central American States. Had one half of the number of American citizens who have miserably perished in the first disastrous expedition of General Walker settled in Nicaragua as peaceful emigrants, the object which we all desire would ere this have been, in a great degree, accomplished. In other words, infiltrate the country peacefully like the Texans did, then let us come and steal it at your invitation a few years down the road. It worked for Texas, after all. Given the weak local governments, they could probably take slaves with them and practice the institution freely until a local crackdown gave them pretense to call on Washington. Amateurs like Walker rightly aroused the distrust of Central Americans and so inclined them to learn from Mexico’s example rather than let the United States repeat it upon them. William Walker’s later expeditions to Nicaragua justifiably don’t get the same attention that his successful conquest of the country does. He lost, after all. But one brought him to the attention of the United States Congress. The undersigned, Minister Plenipotentiary of the Republic of Guatemala and Salvador, and the Chargé d’Affaires of the Republic of Costa Rica, have the honor to make known to the Secretary of State of the United States, that there is no doubt that there is being prepared, in the southern part of this Republic, an expedition under the orders of the adventurer William Walker, the which, according to the advices published in the public journals, will sail about the middle of the present month, or the beginning of the next, and will proceed to Bocas del Toro, where it will receive the armament which has been prepared in this port of New York to be forwarded to said point. It is probable that the uniting of the expeditionists and the aforesaid armament, at Bocas del Toro, may be for the purpose of these new invaders of Nicaragua entering the port of San Juan del Norte, for they have no other port at which they can enter. The undersigned hope that the Government of the United States, in view that it cannot prevent the debarkation of this expedition, so publicly and shamelessly announced, like all the others, will order that a vessel of war of the United States Prevent the landing of these aggressors in the Bocas del Toro, and that positive orders be given to the vessel of war that may be lying in San Juan del Norte, also to prevent the landing of the said filibusters on that coast, causing them to return to the United States, as transgressors of the laws of this country, and as disturbers of the peace and security of friendly nations. From the information received at this Department, there is reason to believe that lawless persons are now engaged within the limits of the United States in setting on foot and preparing the means for military expeditions to be used against the territories of Mexico, Nicaragua, and Costa Rica–Republics with whom the United States are at peace–in direct violation of the sixth section of the act of Congress, approved 20th April, 1818. And, under the eighth section of said act, it is made lawful for the President, or such person as he shall empower, to employ the land and naval forces of the United States, and the militia thereof, “for the purpose of preventing the carrying on of any such expedition of enterprise from the territories or jurisdiction of the United States.” I am, therefore, directed by the President to call your attention to the subject, and to urge you to use all due diligence, and to avail yourself of all legitimate means at your command, to enforce these and other provisions of the said act of 20th April, 1818, against those who may be found to be engaged in setting on foot or preparing military expeditions against the territories of Mexico, Costa Rica, and Nicaragua, so manifestly prejudicial to the national character, and so injurious to the national interest. And you are hereby instructed to promptly communicate to this Department the earliest information you may receive relative to such expeditions. American citizens have a right to travel and go where they please, when engaged in lawful pursuits, but not to violate the laws of their own or any country. They have the right to expatriate themselves and to become citizens of any country which is willing to receive them, but not to make that right a mere cloak and cover for a warlike expedition against it or its Government. Your instructions do not authorize you to act arbitrarily or upon mere suspicion. You will not seize an American vessel, or bring her into port, or use the force under your command to prevent her landing her passengers, upon mere suspicion. You will be careful not to interfere with lawful commerce. But where you find that an American vessel is manifestly engaged in carrying on an expedition or enterprise from the territories or jurisdiction of the United States against the territories of Mexico, Nicaragua, or Costa Rica, contrary to the sixth section of the act of Congress of April 20, 1818, already referred to, you will use the force under your command to prevent it, and will not permit the men or arms engaged in it, or destined for it, to be landed in any port of Mexico or Central America. Paulding had orders to arrest Walker and did so with the blessing of both United States and Central American authorities. He had a clear basis in American law to do so. Walker’s own activities gave evidence beyond mere suspicion, as noted by the Central American diplomats in warning the State Department. 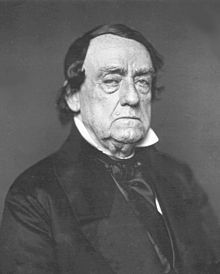 But those facts settled nothing and the arrest provoked a major controversy, arising at length in Congress on January 7, 21, 28, and then again in April 8, 1858. William Walker’s first Nicaraguan adventure ended like his Mexican adventure did, with surrender to American authorities. But Walker’s ambitions no more died on May 1, 1857 when he surrendered in Nicaragua than they did when he quit his Republic of Sonora in May of 1854. The hero’s welcome New Orleans gave him soon gave way to a fundraising tour of the South, which proved quite happy to open its wallets to the gray-eyed man of destiny. How often could a multinational alliance really defeat him, anyway? Walker took his new bankroll and invested it in the new expedition his backers intended, sailing from Mobile in November, 1857. With all the public fundraising and celebration of Walker across the South, even if he wished to leave quietly someone would have noticed. In fact, the United States Navy noticed, sailed after him, caught him, and escorted his expedition back to Mobile. Moving one state to the east didn’t spare Walker the fate of Narciso López’s first Cuban expedition. I dug into the Congressional Globe on the strength of McPherson’s description of the debate and came out with a pile of speeches that I plan to explore in future posts. Walker’s second trial for violating the Neutrality Act took place in New Orleans, and as with past filibusters the New Orleans jury proved unwilling to convict. Instead it hung 10-2 in May of 1858. He took the same lesson that López and Quitman had from their initial failures and set off on another fundraising trip. Southern pockets proved deep once more. 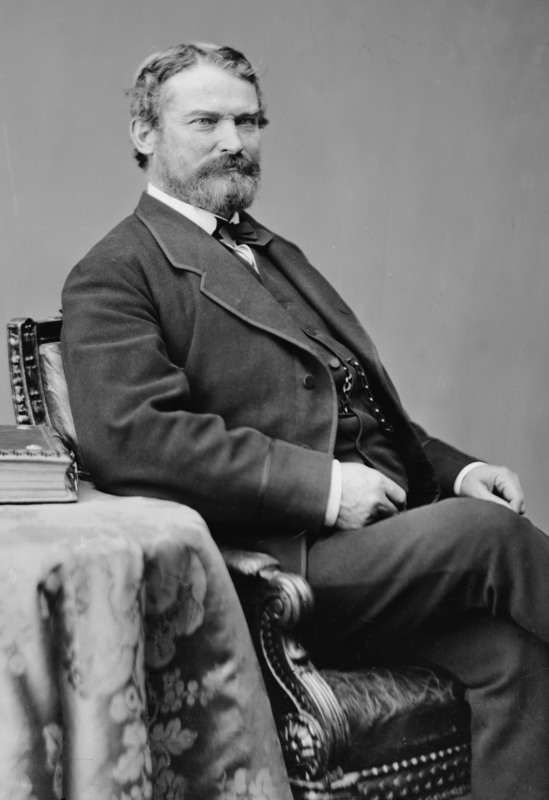 and his appeals “to the mothers of Mississippi to bid their sons buckle on the armor of war, and battle for the institutions, for the honor of the Sunny South” met with eager response. They need only slip past the Navy and they could gain Nicaragua. If it fell so easily to Walker once, why not again? Walker’s third Nicaragua expedition set out from Mobile in December, 1858. His ship struck a reef and landed on the bottom sixty miles short. Walker caught a ride back to Mobile from a British ship to the usual fanfare and promptly started rounding up another expedition. By this point, Walker looked like a four-time loser. Even after writing a book to promote himself, Walker could only gather ninety-seven men to join with him in Honduras for a new campaign. The Hondurans, who took part in expelling Walker from Nicaragua in the first place, proved unhappy to see him back. As usual, Walker ran for a foreign authority to surrender himself to. This time he ended up in the hands of the Royal Navy. The captain he hoped would save him instead turned Walker over to the Hondurans. The gray-eyed man of destiny met that destiny in persons of a Honduran firing squad on September 12, 1860. William Walker took Nicaragua and opened it to land-hungry Americans eager to find their fortunes along the path between the oceans. He owed his success in part to the good fortune of the two senior authorities on his side in the Nicaraguan civil war dying and in part to the support of Cornelius Vanderbilt’s Accessory Transit Company. 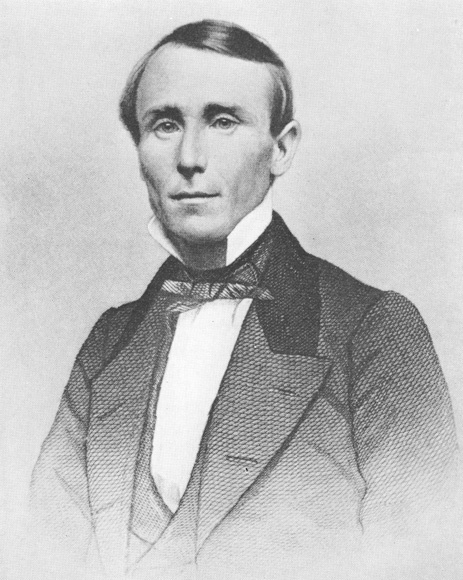 By May of 1856, Walker’s regime even had the diplomatic recognition of the United States, something his past adventure in Mexico never managed. Randolph helped Walker prepare his expedition and then helped to reinforce it later on top of his personal relationship to the gray-eyed man of destiny. When he bent Walker’s ear, Nicaragua’s new president soon decided that the Accessory Transit Company had violated its charter. So Walker revoked it, confiscated the company’s property, and prepared to draw up a new charter for Morgan and Garrison which would transfer all that property to them. In return, they promised help for his regime. Walker needed the help. Vanderbilt did not take the seizure of his lucrative business lightly. He dispatched two men with a detailed plan for how to dispose of Walker’s regime to neighboring Costa Rica. The Costa Ricans needed little persuading to join up with Vanderbilt. Walker had openly talked about further Central American conquests and they had only a line on the map between them and Walker’s army. Catching wind of Vanderbilt’s and Costa Rica’s designs upon him, Walker declared war in February, 1856, and launched a preemptive invasion of Costa Rica. The Costa Ricans surrounded Walker’s army and defeated it in its camp at Santa Rosa on March 20, in all of fourteen minutes. In April, they followed up with an invasion of Nicaraguan territory. The defeat at Santa Rosa, culminating with Walker’s commander in the field simply running away, shook the filibuster and he drew his forces up into the north of his stolen country, where he thought the Costa Ricans planned to get behind him. Instead they took the city of Rivas, site of Walker’s initial Nicaraguan defeat. Walker came back south to retake it but the Costa Ricans prevailed on April 11, 1856. Walker’s figurehead president promptly deserted him for the other side. With his fortunes failing, Walker rigged a shame election to make himself president of Nicaragua and then adopted a sudden Americanization program, making English the official language and rearranging policy to induce more American investment and settlement. He also explicitly declared himself for slavery, revoking the laws that abolished it in Central America on September 22. He thus won greater popularity in the South in exchange for greater opprobrium from the North. 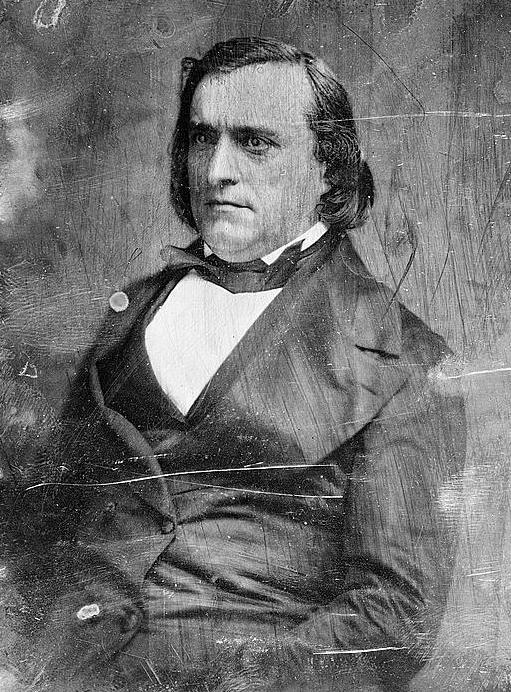 No less an expansionist than Pierre Soulé declared for Walker, working to secure him loans from New Orleans banks in line with the French revolutionary’s personal beliefs and the lately adopted plank of the 1856 Democratic Party, which Soulé wrote, calling for American supremacy in the Gulf of Mexico. Walker’s support came from more than just the Southern elite. Ships full of men arrived over the winter, signing on just in time to meet a cholera outbreak. With his army defeated and disease-ravaged, beset by Costa Ricans to the south and Hondurans to the north, Walker surrendered his army to a convenient Navy captain and sailed with him to New Orleans and a hero’s welcome. Update: A previous version of this post erroneously had Walker’s final destination as New York. The gray-eyed man of destiny, child prodigy turned doctor turned lawyer turned newspaper man turned adventurer found defeat in his first filibustering expedition. Desertion, starvation, lack of supplies, and approaching Mexican troops drove him from his Republic of Sonora, née the Republic of Lower California, in May of 1854. A San Francisco jury took eight minutes to acquit him on charges of violating the Neutrality Act, which outlawed things like taking a private army into a foreign country. In the jury’s defense, Walker had only done precisely that. Thus chastened, Walker gave up on filibustering. He couldn’t depend on juries always thinking him a hero and celebrating the acts for which they acquitted him, so no more freelance invading of foreign countries. Instead, Walker would invade countries that invited him in. That left him with relatively few avenues for advance on the Mexican frontier, but Central America in the 1850s offered him other opportunities. The Gold Rush heavily populated California, but did much less to grow the populations of the vast spaces of the Mexican Cession. Without so much as a railroad there, the trip to the West Coast proved long and arduous. Reaching California quickly usually meant sailing from an Eastern or Gulf coast port to Central America, crossing there by road or rail, and taking a second ship up the Pacific coast. 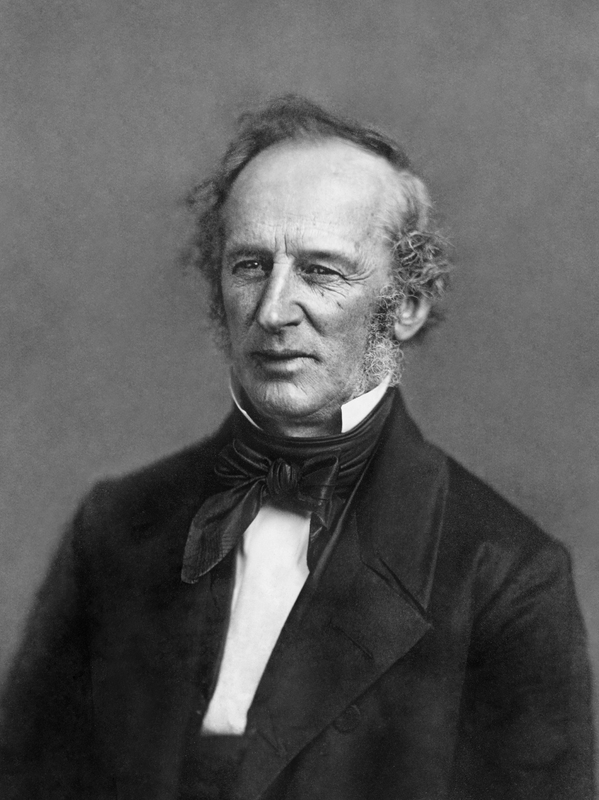 That roundabout route proved sufficiently lucrative to draw Cornelius Vanderbilt, who founded the Accessory Transit Company to ply the trade through Nicaragua, which had the advantage of a closer location than Panama. The nation had a tropical climate where one could easily grow cotton, as well as crops more marginal in the chilly American South: coffee and sugar. Commerce, agriculture, and national interest all aligned on Nicaragua. The same facts might hold for other Central American nations, but Nicaragua had a civil war on top of it which paved the way for a man of destiny to meet his fate. The fact that the nation had gone through fifteen presidents in six years made the kind of rhetoric about spreading the benefits of American civilization all the more plausible. Walker contacted the current band of rebels via a friend and signed a contract with them to gather up an expedition and hire on for the cause. With that kind of invitation, he could hardly violate the Neutrality Act. Even if Washington would otherwise take issue with him, Walker went to support the anti-British rebel faction in a time of increasing Anglo-American tensions. He even had the backing of Vanderbilt’s Accessory Transit Company. In those circumstances, why not allow a deniable expedition the benefit of official indifference? In May, 1855, just a year after the collapse of his Republic of Sonora, Walker and fifty-seven men dubbed “the immortals” set sail from San Francisco. On arrival, Walker demanded and got an independent command that he initially bungled. But then in a stroke of luck, the rebels’ leader and chief general both died in short order. That left Walker the senior man on the ground. He commandeered an Accessory Transit steamboat and used it to outflank and seize the opposition’s capital, Granada. Walker than accepted their surrender and formed a coalition government with his defeated foes and a figurehead president, taking for himself control of Nicaragua’s military. Later he executed the opposition leaders in his government and made himself president. 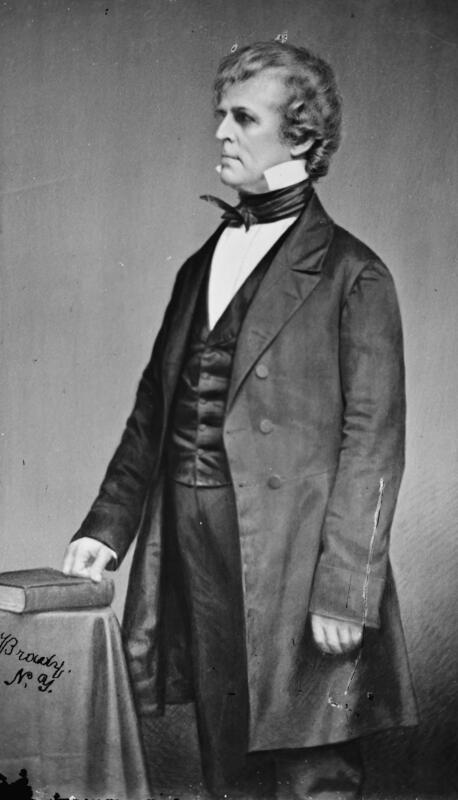 Pierce recognized the new president’s government in May, 1856. Walker’s success drew thousands of Americans into the country, hundreds taking up land grants. A bilingual newspaper promoted Nicaraguan settlement and Walker recruited also among those passing through the nation on their way to California. Why wouldn’t they come? Nicaragua offered free or cheap land to stake out new plantations. If it had abolished slavery thirty years previous, who cared? That just left the land open to establish a new slave society free from local competition. Nicaragua offered everything Cuba did and more.